Last week, it was a difficult question to answer, whether Sergt. Bernard Wright, Tunnelling Corps, R.E. 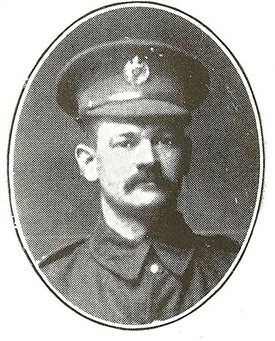 was wounded or killed, but on Monday afternoon, official news of his death reached his wife, at 22 Ryton Street, Worksop, so that his name has to be added to the list of local heroes who have fallen for their country. The deceased enlisted about thirteen months ago, leaving his occupation as deputy at Manton Colliery. After a very short training, he was sent out to France, and served out there for about a year. He was 39 years of age and a pitiful circumstance of his death is that he leaves a widow and four small children. The sympathy of Worksop people will go out to Mrs Wright and family in their bereavement.